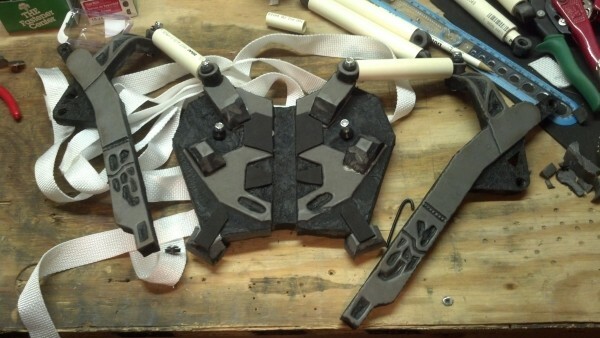 Elysium Powered Exoskeleton Costume WIP « Adafruit Industries – Makers, hackers, artists, designers and engineers! In Elysium, Matt Damon’s character (and others) wear an exoskeleton that was inspired by a real life military Human Universal Load Carrier (HULC). 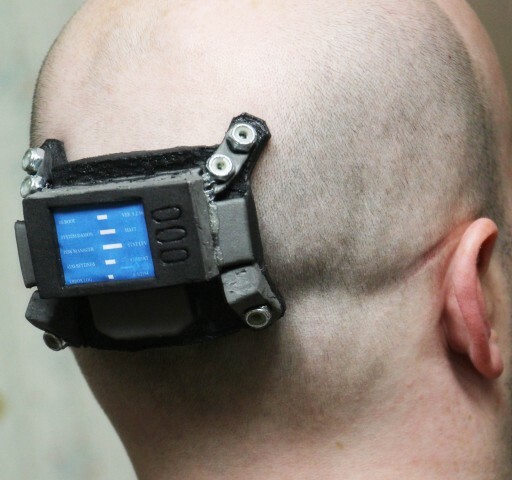 Replica Prop Forum user Odayaka wanted to make one as soon as he saw the trailer for the film, and though it’s still in progress, it’s a project worth taking a look at because of the creativity on display. Odayaka used 0.5 inch EVA foam puzzle piece “Gold’s Gym” equipment mats to create the exoskeleton. For shaping, he’s using a wood-burning wand with an Xact-o blade attachment and then connecting the pieces with hot glue. A couple different sizes of PVC were used to approximate the pistons, and the whole thing will be held on by a nylon strap harness. 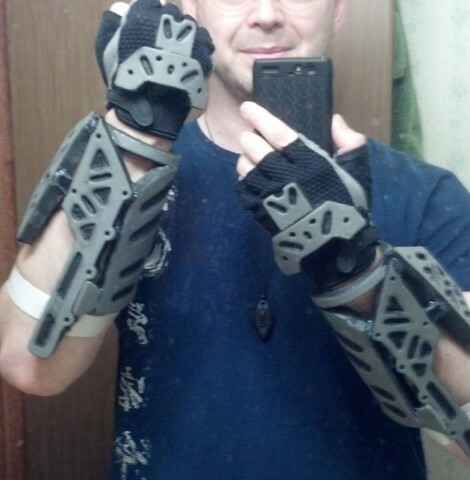 The above photo shows what t he forearm bracers look like. See more photos of the build so far at The RPF.